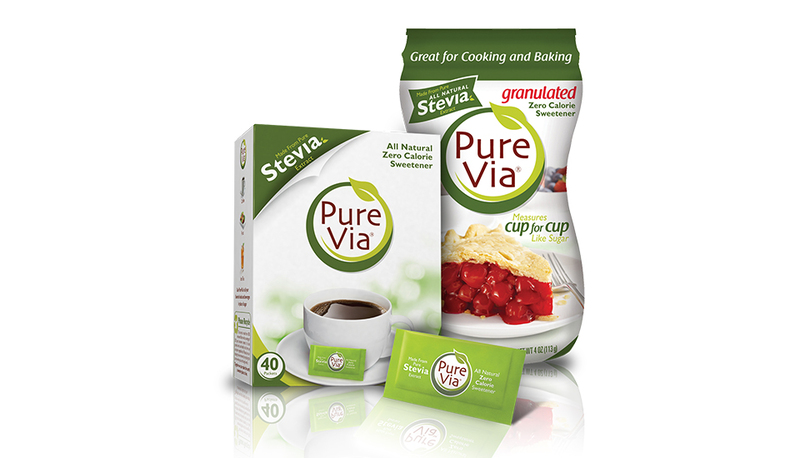 Pure Via was looking to climb to the top in the all-natural stevia sweetener market. 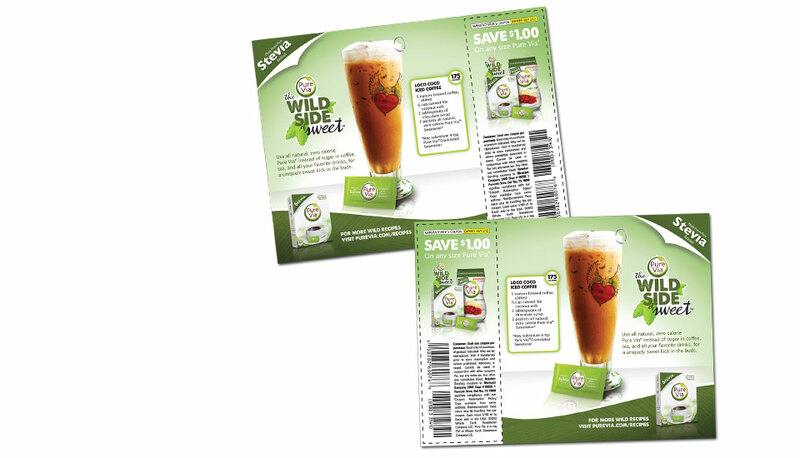 They asked Plan B to develop a creative strategy that would help them create a leading brand on a limited budget. 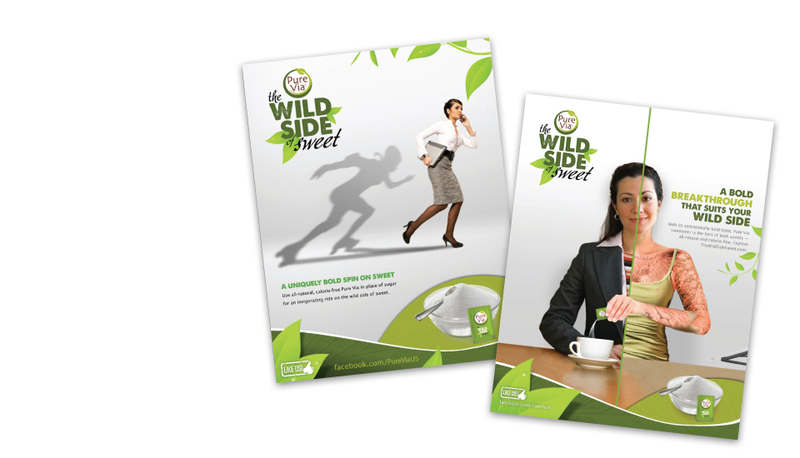 This included the development of a unique and ownable position, image, and tone of voice, in addition to a full-scale creative launch and integrated marketing campaign. 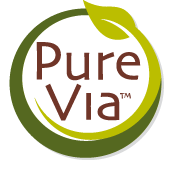 In order to be successful as a third-share player in the market, Pure Via needed to zig where others zag, creating a unique brand presence by avoiding attribute-based competition and competing on points of difference, not parity. 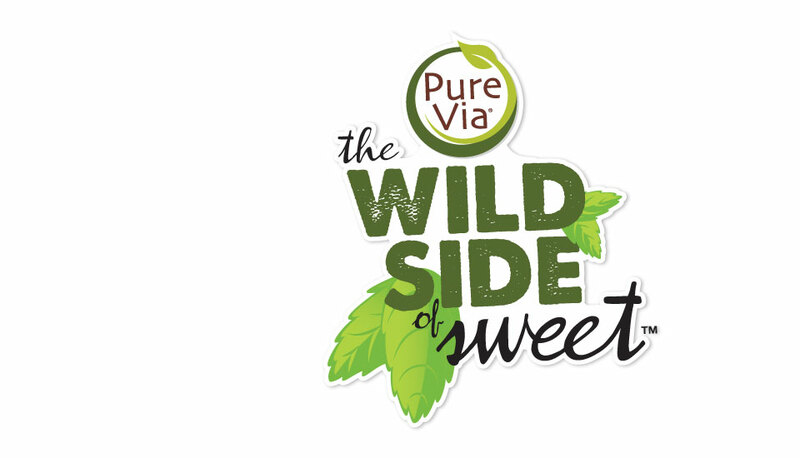 Plan B created "The Wild Side of Sweet" messaging platform. 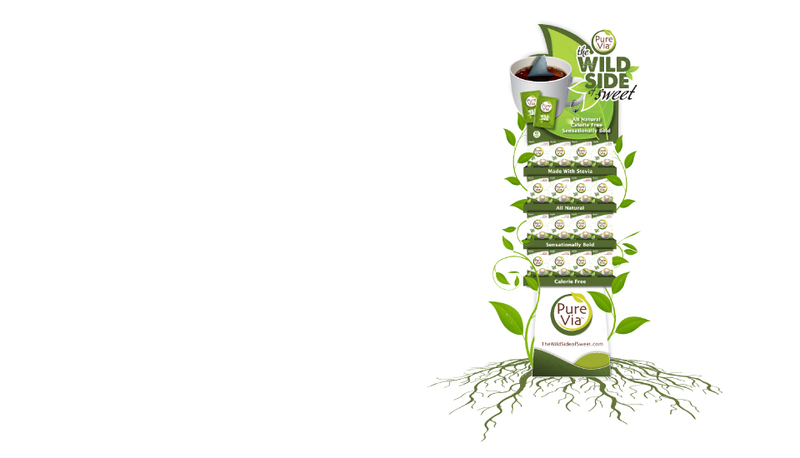 It's a bold, multi-dimensional phrase that speaks on several levels to the consumer: about the product and its natural origins, as well as psychologically and culturally. Using the versatile creative platform, Plan B developed a multi-channel, socially integrated campaign that leveraged the tremendous power of digitally charged word of mouth. 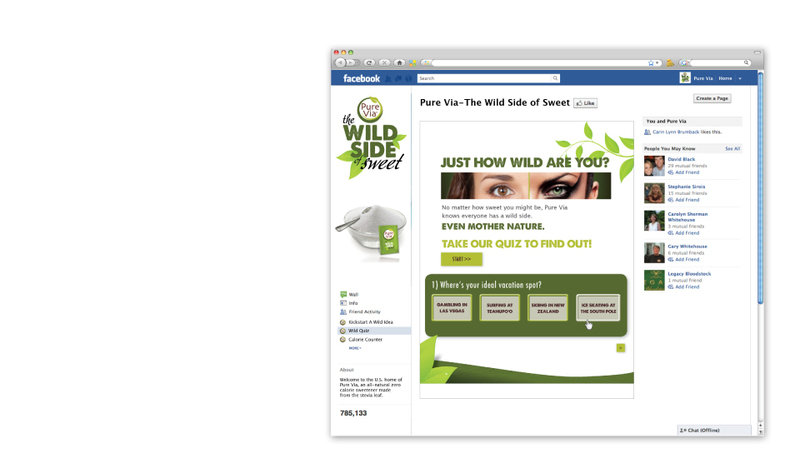 By creating a strong brand presence across the web, on social networks, blogs, and influencer sites, Pure Via could grow their awareness, drive trial, and build the brand.